Agree 1000%! I wrote a similar post about Rise and Otani myself a while back. 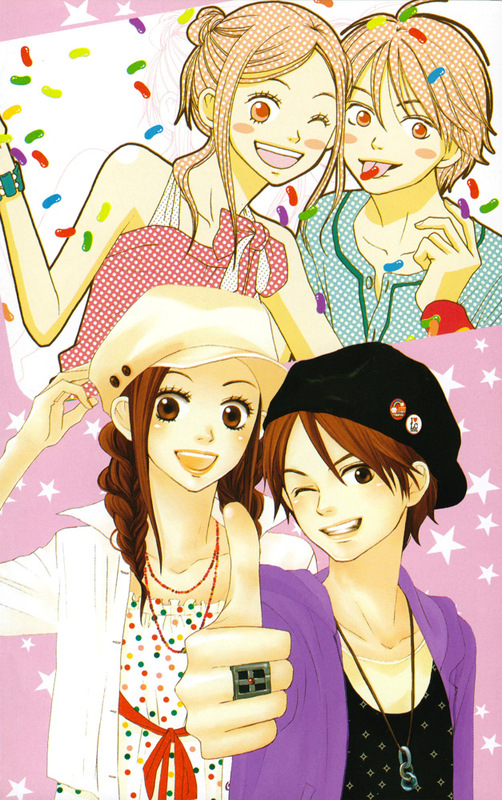 What I really love about Love*Com is that Risa and Otani really ARE friends. I feel like a lot of romantic series SAY two people are friends, but many times just feels like a means to an end. Risa and Otani actually act like friends in the series which pushes it above and beyond so many other titles. That’s so true. In most series one (if not both) of the characters has a crush on the other when they’re supposed to be ‘just friends,’ so the ‘friendship’ is not very convincing. But in Love*Com, even when things are awkward between them, Risa and Otani always have fun together and bend over backwards for each other. 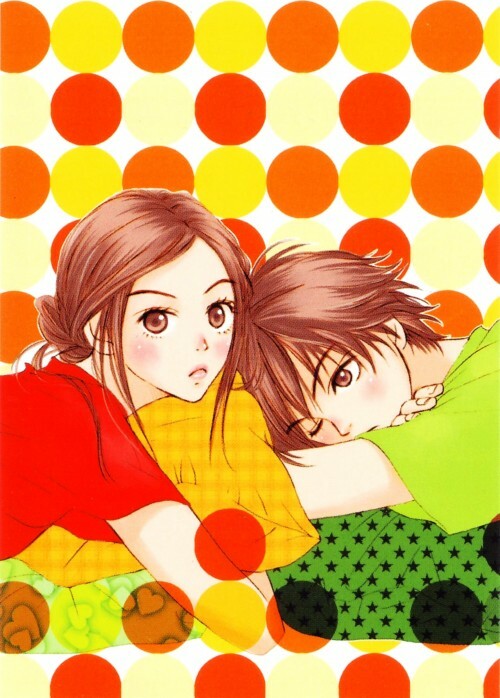 Lovely Complex is an amazing manga and anime! 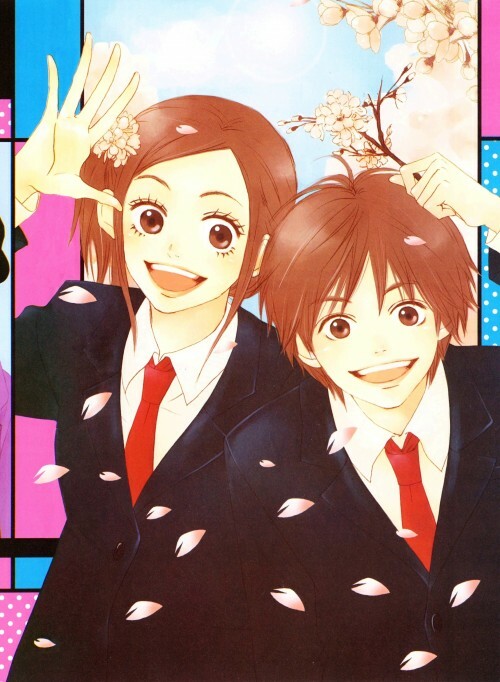 I like the story concept about the characters Otani and Risa. Both of them have the courage to express their true emotions beyond any complexes(like their heights). It’s a great lesson to learn about! Truthfully, Love*Com has such a simple premise it’s surprising I’ve never seen it done before! But I love that the couple’s main complex (their height difference) is something that could actually happen in real-life. I have yet to read this series, but judging from the premise when I first heard about it, the manga sounded like it would be different from the usual shojo romances. Glad it is! I know they made a live action film for Love*Com. Have you ever watched it? I think you’d like Love*Com – it’s conventional without feeling cliched, if that makes sense. I haven’t watched the live-action film but I’ve heard it’s not quite as good as the manga. I didn’t read the manga but I saw the anime a while back and I fell in love with the simplicity of the story. What’s more important is that it emphasizes on this – while the main characters love each other, they like each other too. I truly believe in enjoying the company of your partner so it’s great to see Risa and Otani have loads in common. Agreed! Love*Com is actually one of the very few romance series that highlights the fact that the main couple have many hobbies in common and that that’s important – which is why it stands out from most series. Sounds like the romance is built up in a realistic manner. That’s good. 🙂 One thing though, I find it rather curious how a lot of shoujo manga use jealousy (in the male character) to get the two together. Nothing wrong with that, especially if it’s handled with the male character just realizing that really does care when there is a chance to lose his love, but I always worry about such a set up because it has so much potential to go so wrong. How is it handled here? I know what you mean – sometimes it comes across as though the guy only wants the girl because he can’t have her anymore, or because he’s possessive. But I think Otani’s jealousy was well-handled because the guy who he was jealous of wasn’t interested in Risa and was only trying to get the two of them together. Also, there were a few scenes where Otani showed that his romantic interest in Risa was growing before Mighty even entered the picture. I have a few Shojo Beat series like that too! Mainly Monkey High, though. But I’m really glad I got into Love*Com – I think almost anyone would like it, especially for the comedy. I agree with everything – LOVE this anime/manga/movie!!! I saw the live action movie first and it made me seek out the manga. I fell in love with the characters before anything else. I find a mistake made so often is, like others have mentioned, is neglecting to make characters likeable as well as relatable. There are too many ‘self-insert’ heroines who have no personality paired with attractive boring grouches who just happen to be ‘tortured’. While this whole ‘changed by love’ fantasy has it’s place, it is WAY overused and I find it hard to root for a couple that I have no strong feelings towards. It’s like being invested in the fantasy more than the characters themselves and there is something empty about that (Sorry – getting a bit off-topic, but does that make any sense?). Thanks so much for commenting! I think you make perfect sense – there are plenty of ‘romances’ that stick to using archetypical characters, which tends to be uninteresting and you feel as though you’ve seen the story and characters a million times. And you’re right – when characters have little going for them beyond fitting into categorizations such as the ‘tragic’ figure, since the characters themselves feel unrealistic and empty so too do the romantic pairings. I think you hit the nail right on the head that Risa and Otani completely get each other – not just because they’re so alike – and this is why they feel special and you love following their relationship. And I’m glad the anime has been licensed by Discotek! Thanks for commenting! Not many shojo heroines work as hard to get their crush to fall for them as Risa does; though them falling for each other still comes across as completely natural. I think Risa’s one of the more relatable shojo protagonists, and that certainly helps Love*Com stand out in the minds of fans.